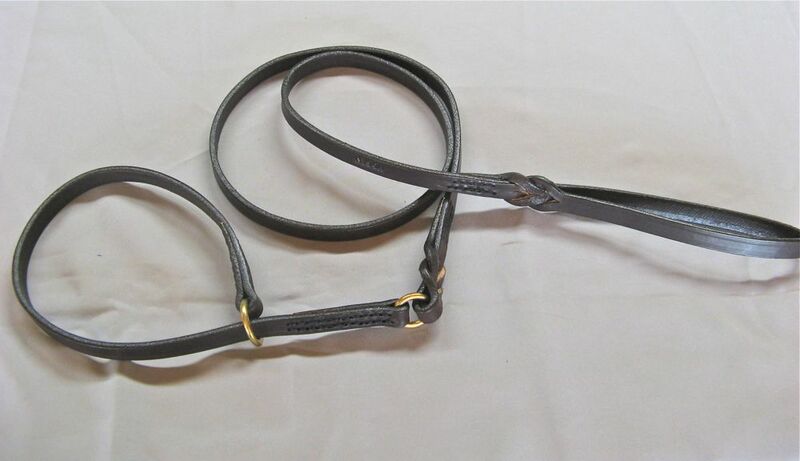 An English Bridle Leather one size fits all Collar and Lead Combination Slip Lead. 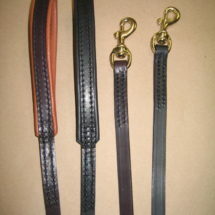 Choose the size that comfortably fits over the heads of your breed. 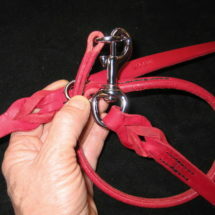 This way having a Slip Lead with a “Set Ring Stop”. 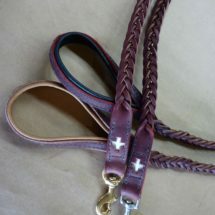 The leash section comes with braided end and collar attached as sized. Solid Brass or Chrome Rings. Size Choose an option1/2" lead x 14" - 22"5/8" lead x 18" - 24"3/8" lead x 12"- 16"1/4" lead x 10" - 14"3/4" HVY lead x 22" - 28"
1/2" lead x 14" – 22", 5/8" lead x 18" – 24", 3/8" lead x 12"- 16", 1/4" lead x 10" – 14", 3/4" HVY lead x 22" – 28"